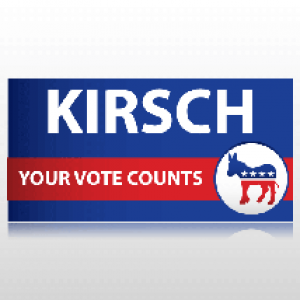 Red, White and Blue Political Democratic banner with logo and Text. Two material options and custom size option available. Fully customizable design.